Pozhiyoor, Trivandrum - 695513, Kerala, India. 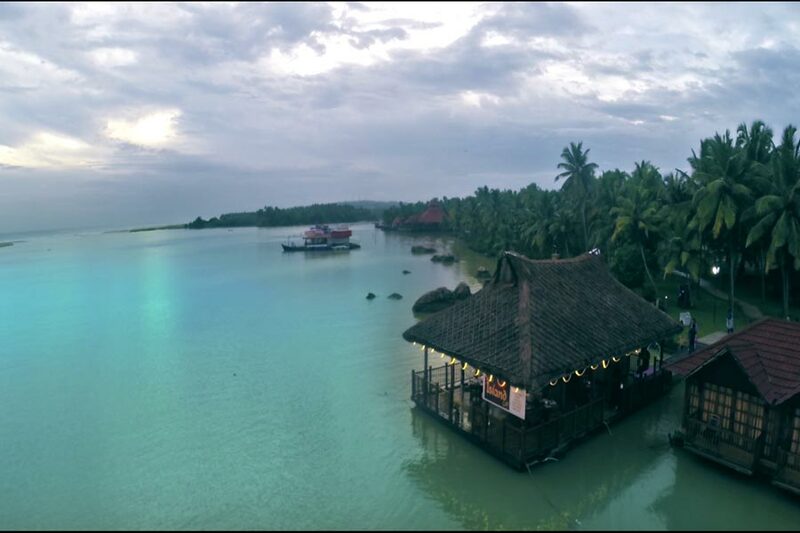 Use the form below to inquire about Island Resort Stay at Pozhiyoor . Use the form below to reserve for Island Resort Stay at Pozhiyoor . Air Conditioned Room, Hair dryer, Hot and Cold Running Water, Room Service, Safe, Tea/Coffee Maker, TV with cable connection in each rooms. 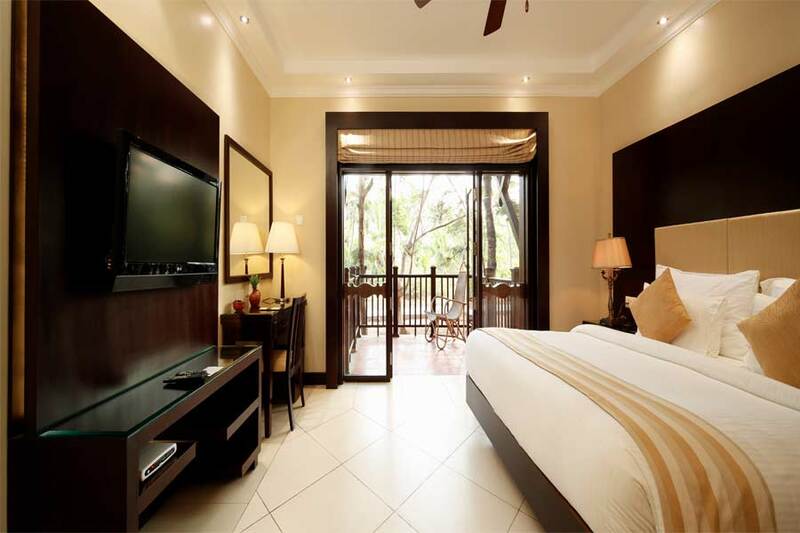 Air Conditioned Room, Hair dryer, Hot and Cold Running Water, Jacuzzi, Private Balcony/Verandah, Room Service, Safe, Tea/Coffee Maker, TV with cable connection in each rooms. 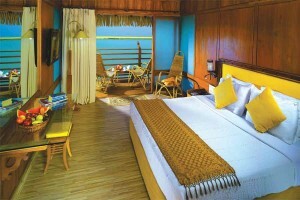 Spacious rooms that float on the water with a queen size bed, lounge chair, writing table and a private balcony. Air Conditioned Room, Hair dryer, Hot and Cold Running Water, Private Balcony/Verandah, Room Service, Safe, Tea/Coffee Maker, TV with cable connection in each rooms. 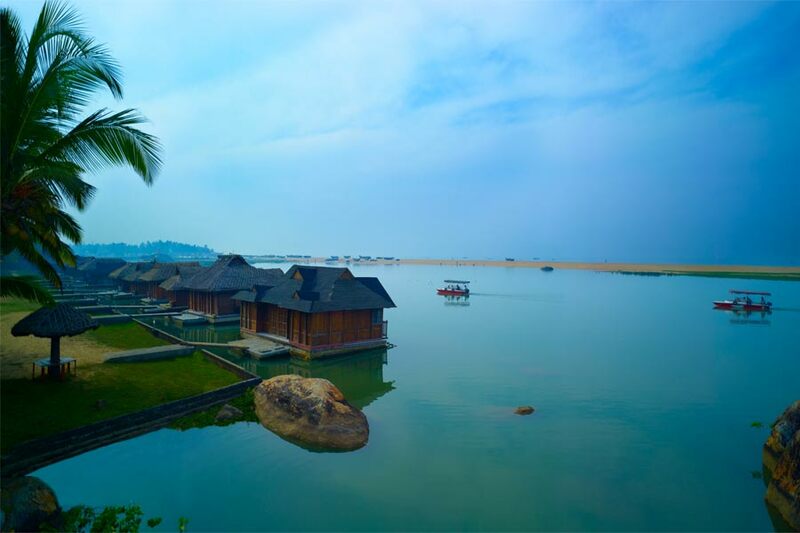 This spectacular Island Resort Stay at Pozhiyoor sits at a point where the tranquil backwaters meet the stupendous Arabian sea. A place where the air is pristine, the scenery verdant, untouched by modernisation, this Island Resort Stay at Pozhiyoor is just a few kilometers from the capital city of Kerala. 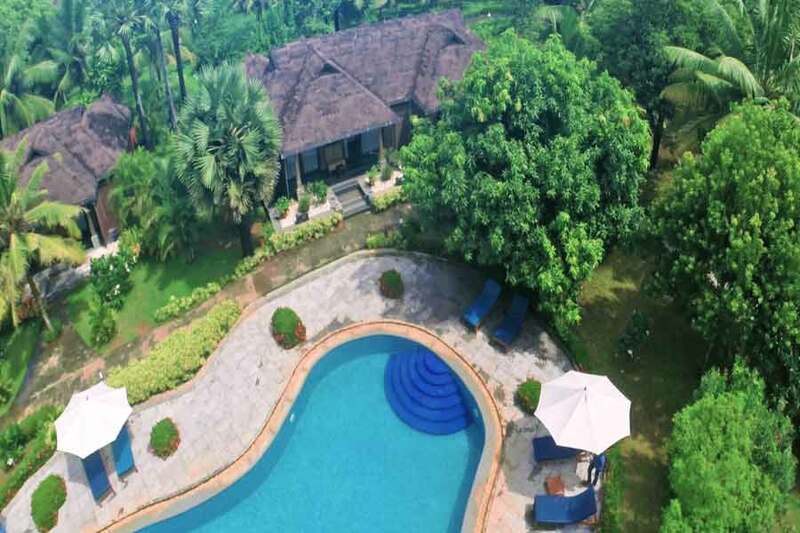 Swaying coconut groves and a natural lily pond on the premises complement the exotic visuals of the sea, beach, and the placidly flowing river. 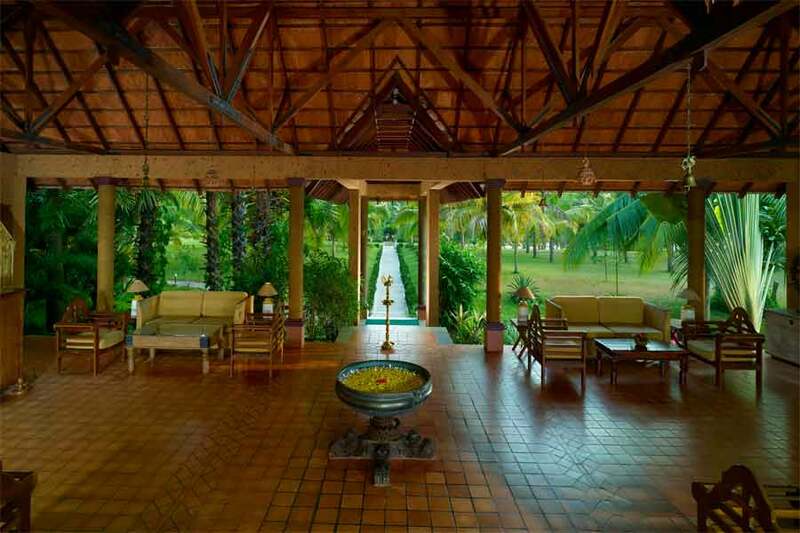 At this Island Resort Stay at Pozhiyoor, the essence of Kerala resonates in its architecture and interior decoration. The walls have pastel shades and furnishings are stylish yet traditional. The floating accommodations provide an out-of-the-world experience. 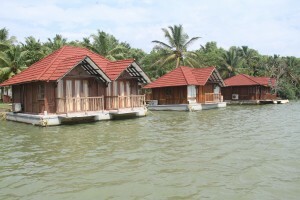 Luxurious cottages and villas float on the banks of the Poovar backwaters and face the sea. Aboard these luxurious floating accommodations, feel the rocking rhythm of the gentle waves. Submerge yourself in the unmatched natural extravaganza as the cooling breeze from Poovar River and the sea melts away all your stress. The rooms on land at this Island Resort Stay at Pozhiyoor are also lavishly appointed and guests have access to Jacuzzis and rain showers. Views from the land accommodations are equally enchanting as the ones from the floating rooms. Some of the accommodations have a hammock in the balcony where you can gently sway as you contemplate. Four Ayurveda rooms thoughtfully designed with eco-friendly materials like coconut wood, a cooling medicinal fiber called Ramacham, and thatched coconut leaf roofs are available to you. These rooms are furnished with wooden tones and earthy colors with a modern twist. Even the curtains are made with medicinal plants. 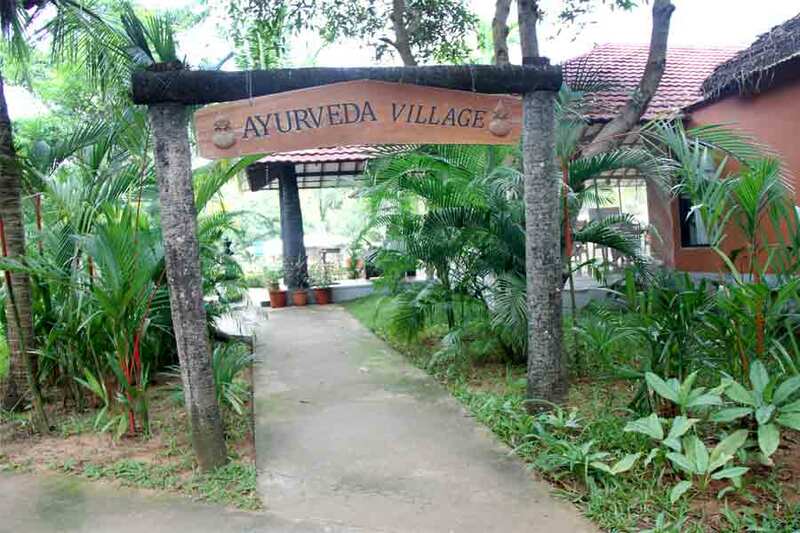 The Ayurveda accommodations do not have air conditioning in keeping with the ancient science. To add to the comfort of your stay, each accommodation comes with a lounge chair and writing table. 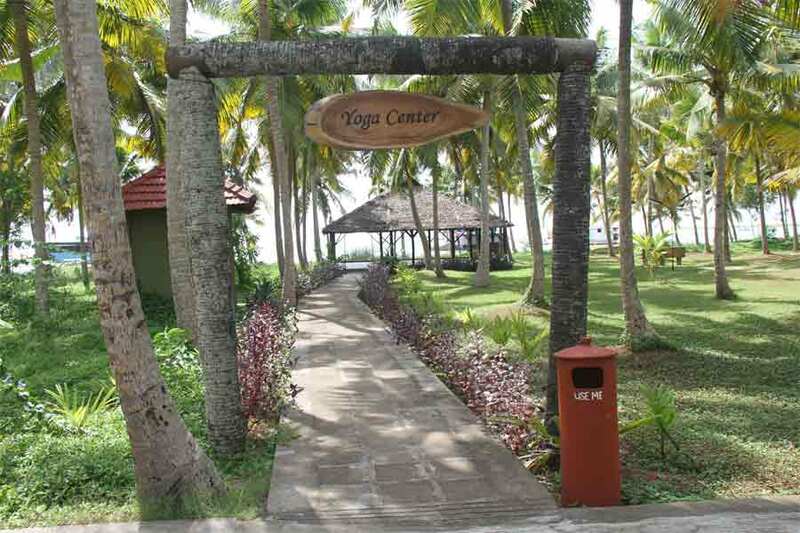 Ayurvedic treatments will recharge your mind while meditation and yoga sessions can be arranged. Other amenities offered by the resort are a shopping boutique, well-stocked library, foreign exchange counter, sun beds, magnificent swimming pool and kiddie pool, beach volleyball court, beach access, life guards, indoor games, and a conference hall. The restaurant at this resort is a stunning structure with double height wooden trusses. Enormous chandeliers and their golden light glowing against the wooden hues of the trusses transforms your dining into an ethereal experience. Food served here is a cocktail of flavors comprising Continental, Asian, Indian, and Kerala cuisine. Fresh seafood, exotic spices, farm grown vegetables, and fruits are used to cook the lip-smacking delicacies. 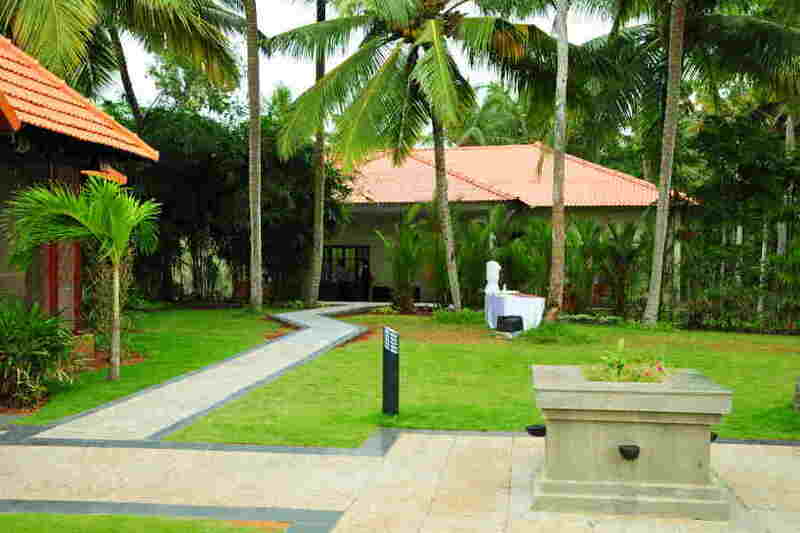 This Island Resort Stay at Pozhiyoor is ranked as one of the uniquely designed beach hotels in Kerala and is the recipient of many accolades. Stay for Children under the age of 5 is complimentary. Meals will be charged extra. Confirmation of cottages against advance payment only. Check-in is at 1.00 pm and check-out is at 11.00 am. Guaranteed day use between 9.00 am and 4.00 pm will be charged at 50% of the published tariff, subject to availability. Guaranteed late check-out beyond 4.00 pm will be charged one night’s room rate. Compulsory room supplement for X' Mas evening (24th Dec) and New Year evening (31st Dec). Payments may be made by VISA and MasterCard, cheque payable at par/demand draft. Summer rates from 1st Apr to 30th Sep.
Winter rates from 1st October to 19th Dec and 11th Jan to 31st Mar. Peak period is from 20th Dec to 10th Jan.
For cancellations received 30 days or more - 100% refund. 14 days or more - 50% refund. Less than 14 days in advance of arrival - no refund. No refund for cancellations on bookings from 20 Dec to 10 Jan. This resort leaves you spoilt for choice with a lot of frolicking and relaxation side by side. Immersing yourself in the natural splendor that surrounds the resort will allow you to attain peace of mind. Curling up with a book from the well-stocked library or dozing off on a hammock, rocking to the sea breeze, are serenely calming. As you relish the dreamlike vistas around, loosen up at the Ayurveda center where a wide range of therapies will detoxify and revitalize you completely. Various types of body massages, herbal face packs, steam bath, Sirodhara, organized and Kizhi are some of the most popular choices. Enjoy beach volley and swimming or team activities organized by activity managers. Sunset cruises can be arranged on the Poovar River to witness an awe-striking moment. Various shades of purple and orange smear the horizon at sunset and flocks of birds can be seen flying across. The riverside and the beach are a haven for bird watchers. Beach visits and motor boat cruises are arranged by the resort. Barbeque and dinner can be served outdoors on the vast lawn or by the river, creating a heavenly ambience against the twilight. For enthusiasts, cooking classes can be arranged by eminent chefs. Go on a shopping spree at the in-house boutique where you can find ethnic Kerala artefacts, wood carvings, handicrafts, shawls, blankets, and jewelry to take home. Sightseeing trips can be customized according to the requirement of the guests. Ponmudi and Cardamom hills, and Neyyar Dam are popular destinations near Poovar. Visit local villages and fishing points, trekking to Meenmutti waterfalls in the Agasthya Mountains are also great experiences. Thiruvananthapuram, the capital city of God’s Own Country, is an alluring beauty and a must see. Thiruvananthapuram is the nearest airport to Pozhiyoor which is 40 km (appx 1 hr) away. Kochi is around 228 km (appx 6 hr) away. From Thiruvananthapuram city , take the Poonthi road and reach NH 66. If you are driving from the airport, enter NH 66 directly. Drive south on NH66. At the Enchakkal roundabout junction on NH 66, take a diversion to the Kazhakkoottam – Kovalam bypass road and continue driving south. After reaching Vizhinjam town drive on the Poovar-Vizhinjam road. This road will take you to Poovar. From Poovar town, head towards Uchakkada. From Uchakkada, take the right towards Pozhiyoor. Stay: Island Resort Stay at Pozhiyoor Address: Pozhiyoor, Trivandrum - 695513, Kerala, India.